The Internet has brought the world together. But at the same time, it has also split the families. Younger generation goes after the greener pastures for better-paying jobs, for being in the “know” of the technology. And in today’s technical world one has to run just to stay in one place. The youngsters are leaving the older generation behind to be at the top of their careers. A nuclear family is becoming a norm. But a guilty feeling of not paying much attention to the ailing parents keeps gnawing the adult children. They worry about the wellbeing of the parents. Invariably the parents have a few ailments – some minor some life-threatening. Wouldn’t it be a relief if the youngsters can see that the parents are healthy, are aware of the medications prescribed to them, and that the parents are taking their medications on time? The pillbox is a virtual pill container is a special container for storing scheduled doses of one’s medications. Getting your medications exactly when your body needs them is vital, but sometimes you just forget. Member can record upcoming appointments with the physician and can get reminded for their upcoming appointments by the app. The member patient can look at older appointments for reference. Lab testing is done for regular physical check-ups or for any abnormal findings of health issues by the physician. CurePill app can store the reports with details so a physician can evaluate the previous history related to the particular medical condition and prescribe an appropriate action. A member who becomes a patient of a physician sets up an appointment for a meeting. The physician, most probably, prescribes one or a few medications. The member enters all the details about the medication (medicine name, dosage, medicine timings etc.) CurePill app is supposed to store the information and give reminders to the member about medication timings so that member won’t forget to take medicine at the right time. The app should also remind the members about their upcoming appointments. The Curepill app should be able to help a member by keeping records of events such as the lab test reports, details of the insurance, physician’s details. CurePill App can record the contact information as well as the necessary medical qualifications of the physicians. These details are entered, mostly, by the patient members. 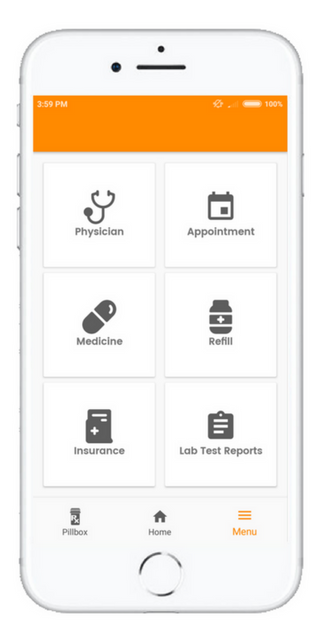 After visiting the physician, the patient members can store with help of the app, their prescriptions and the times they have to take the medications. CurePill App will provide a reminder for refilling of medication based on data provided by the patient members at the time of entering the data about prescriptions. Over the counter are medicines sold directly to a consumer without a prescription from a healthcare professional. The CurePill records all the necessary information of the OTC medications. For OTC the patient doesn’t have to record the times the medications have to be taken. Side-effect is an undesired symptom caused by medical treatment. CurePill can record any reactions that take place by all kinds of medications, including prescriptions and over-the-counter medications. Insurance information need not have to be memorized by the members. CurePill App can record the information and can provide it to the healthcare professional when needed. The App can also make sure by reminding the patient members that premiums are paid on time and the insurance coverage is kept current. People are living longer. Today’s 80 is yesteryear’s 60. Women always had 10-15 more years’ longevity as compared to men. Most of the women were anywhere between 3-5 or even more years younger than their husbands/ partners. That means a 90+-year-old woman is going to be more of a reality than a rarity. As a result, women living alone for close to 15+ years will be a norm. The world population is close to 7 Billion on January 01, 2016. The families of multiple generations are becoming more an exception. That means the elderly people are going to be living by themselves and not together with their children and grandchildren. But people into their 50’s, 60’s and 70’s are pretty active going to Fitness Clubs. 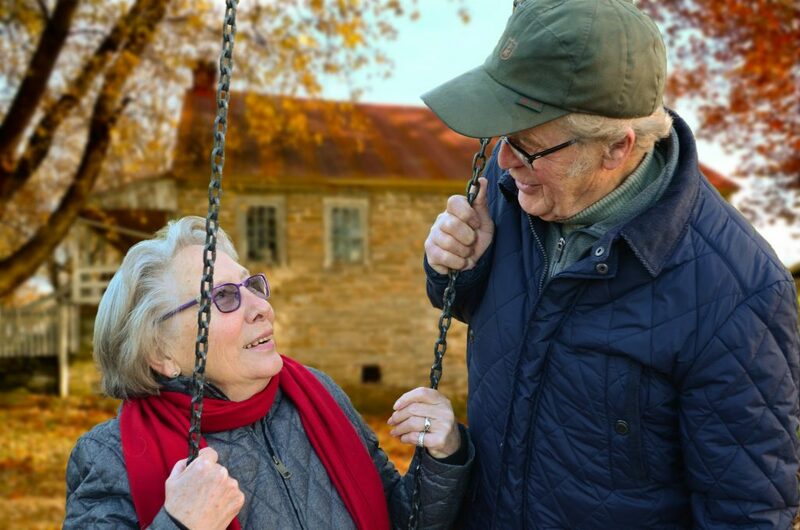 Most of the 60+ people are “empty nesters” .The issue of nursing homes comes up when the people reach 70+ age, of course in some cases sooner and in some cases later. Most of the elderly don’t want to move to nursing homes. They want to live in their own homes however small or large the homes may be. We would like to help this ever growing population, a la AARP (American Association of Retired People). AARP membership can start with the age of 50! AARP is a powerhouse of 37.8 Million members on Dec 1, 2016. This is one of the biggest lobbies in the US. I won’t be surprised that with globalization other countries (Europe 44 countries according to the UN (the number is keeping on growing), the rest of the world has 195-44= 151 countries. There are 193 member states of the UN and two non-members are The Holy See (the Vatican) and The State of Palestine. With our Apps we want to help seniors 50 – 80+ years of age. 50 is the lower limit of the group. Let us consider how many there are that are 80+ years of age – the upper limit of our constituents. Who are our potential customers? People 50+ years of age. 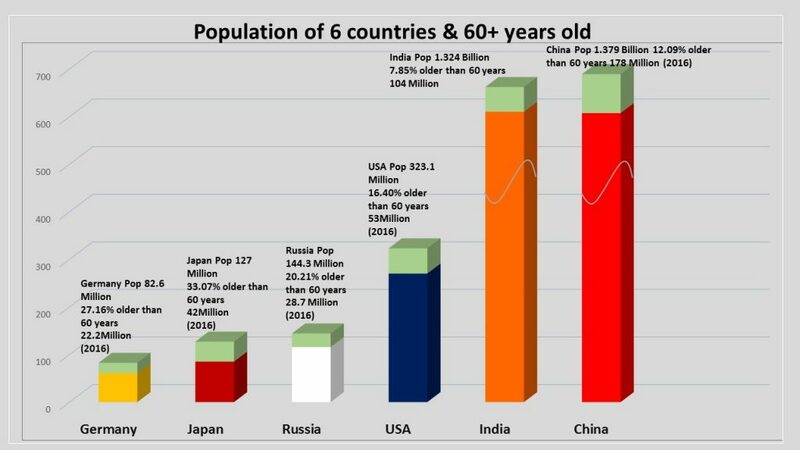 About 2 billion out of 7 billion total population are in the age group 50+ resulting into about 28.5% of the World population is 50+ years of age. Germany (35 million) (population – 82.6 million – 2015). Japan (57.6 million) (population 127 million – 2015). Russian Federation (50.74 million) (population 144.3 million, 2015). United States of America (109 million) (Population 323.1 million- 2015). India (231.9 million) (population 1.324 billion 2015). 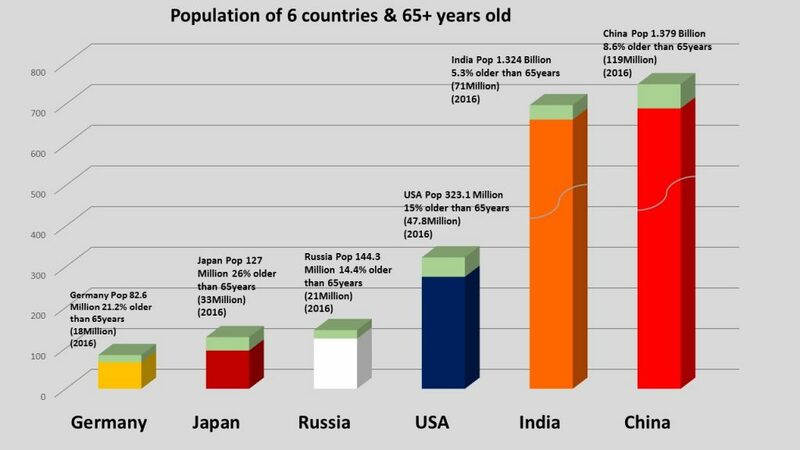 The six countries mentioned above have about 33.82% of the population 50+ years of age. About 2 billion out of 7 billion are in the age group 50+. 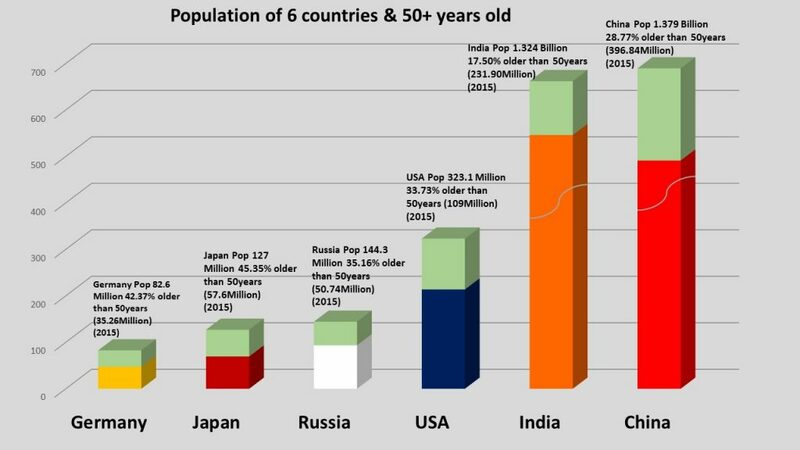 So, 33.82.5% of the World population is over 50 years of age. And 26.128% of the world population is above 60 years of age. Germany (22.2 million) (population – 82.6 million). Japan (42 million) (population 127 million – 2016). Russian Federation (28.7 million) (population 144.3 million, 2016). United States of America (53 million) (Population 323.1 million- 2016). India (104 million) (population 1.324 billion 2016). Germany (18 million)(population – 82.6 million). Japan (33 million)( population 127 million – 2016). Russian Federation (21 million) (population 144.3 million, 2016). United States of America (47.8 million)( Population 323.1 million- 2016). 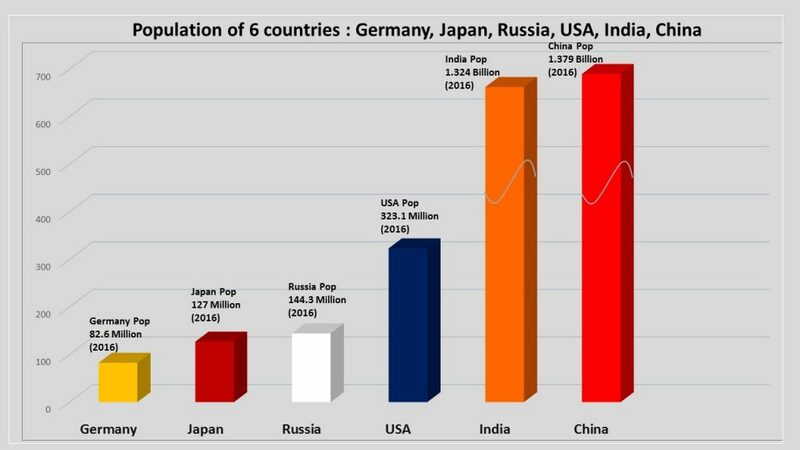 India (71 million)(population 1.324 billion 2016). Germany (3 million)(population – 82.6 million)(life expectancy – 81 years). Japan (5 million)( population 127 million – 2016),(life expectancy – 84 years- 2015). Russian Federation (3 million) (population 144.3 million, 2016)(life expectancy- 71 years- 2015). United States of America (9 million)( Population 323.1 million- 2016), (Life expectancy – 79 years – 2015). India (6 million)(population 1.324 billion 2016),(life expectancy-68 years – 2015). China, with the largest number (12 million)(population 1.379 Billion – 2016)(life expectancy – 76 years-2015). 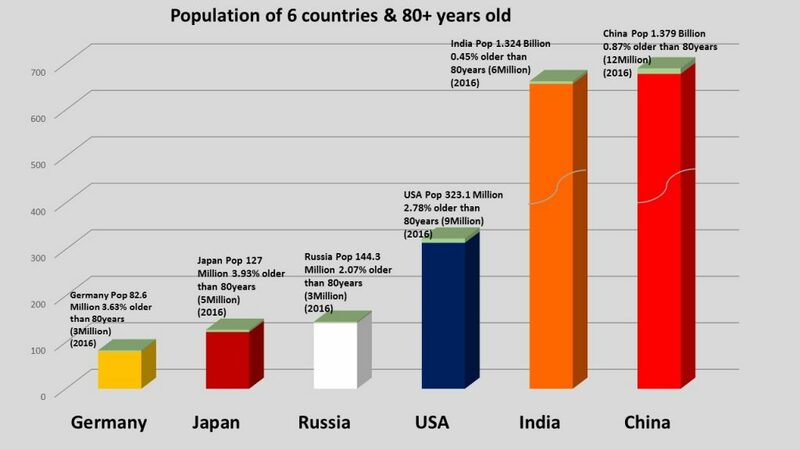 In 2050, these six countries will have more than 10 million each who will be older than 80 years. But the age takes its toll on what these elderly are capable of managing physically and mentally. Children of these elderly are living longer too. But they don’t necessarily live close by their senior parents, or relatives. The world has gotten closer because of the Internet and various technologies but the same technologies have separated the same families apart. That said when the elderly need help in their day to day life to get medical attention, to have reminders of a number of aspects of life (because the life’s longevity doesn’t necessarily mean that the brains at the age of 80 are just as crisp as at the age of 40) they have no one to turn to. Another major factor of old age is often not even consider and it is “loneliness”. It is known widely that one of the biggest problems faced by the Japanese elderly, just like any place else, is loneliness in the old age. We want to help these elderly by creating small communities with a radius of possibly one to two miles of people who can possibly come to rescue when the children and the grandchildren might be a few thousand or at least a few hundred miles away.